Lucifer and God work out their issues. God apologizes to Lucifer, and the two team up to fight the Darkness. Dean recruits Crowley and the demons. Sam recruits Rowena and her witch friends. Lucifer and Castiel recruit the angels. 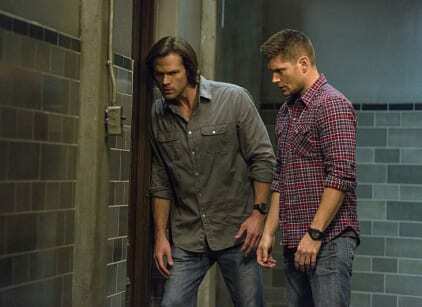 They discuss the plan of attack including giving Sam the Mark in order to trap the Darkness away. God doesn’t want to kill the Darkness. Rowena pretends to double-cross God and then attacks the Darkness. The angels attack and so do the demons. Crowley fights too. Battered, the Darkness confronts God before she is stabbed by Lucifer. God talks about his ego and prepares to send her away. The Darkness gets pissed off and eliminates Lucifer and then injures God to near death. She wants him to watch everything end. Sam doesn’t get the Mark.